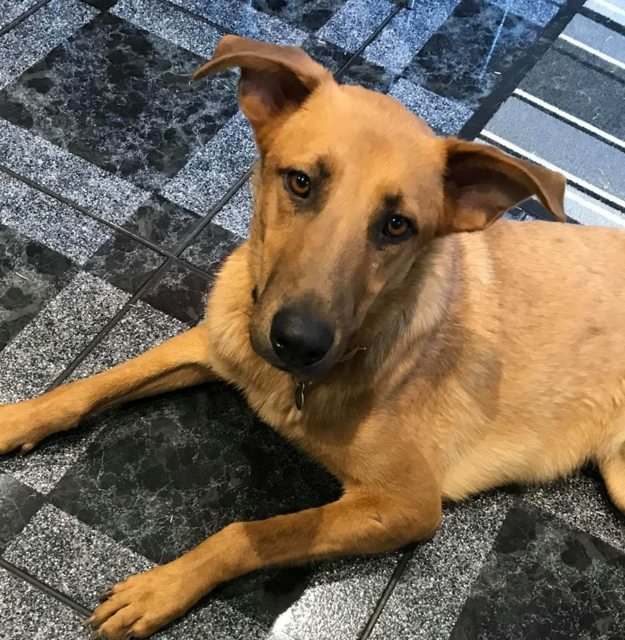 Buddy is a 3 year old male German Shepherd Cross. 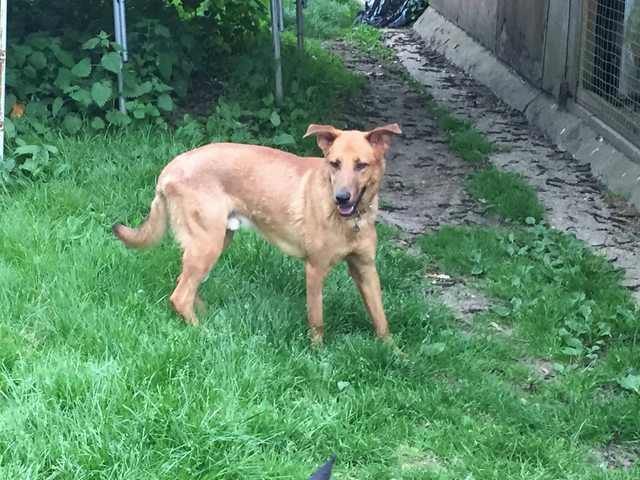 Buddy is a rescue from Cyprus who has flown to a foster home in Colchester, to help him in his search for his forever family. Here is a little about him. 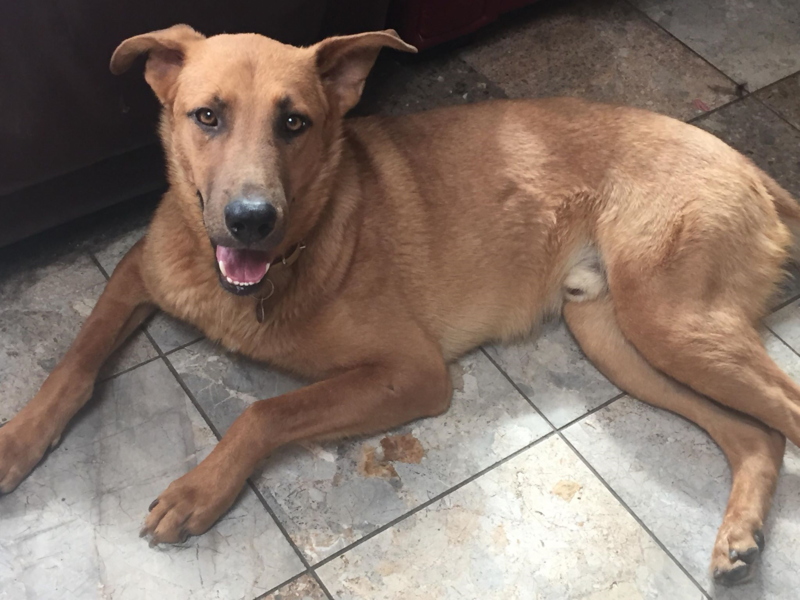 Buddy is a super, young dog who is very loving and playful. He gets on very well with other dogs and is currently sharing his foster home with 2 grumpy Labradors and he doesn’t react at all. He is a good size dog and mainly German Shepherd going by his features (although short coated). 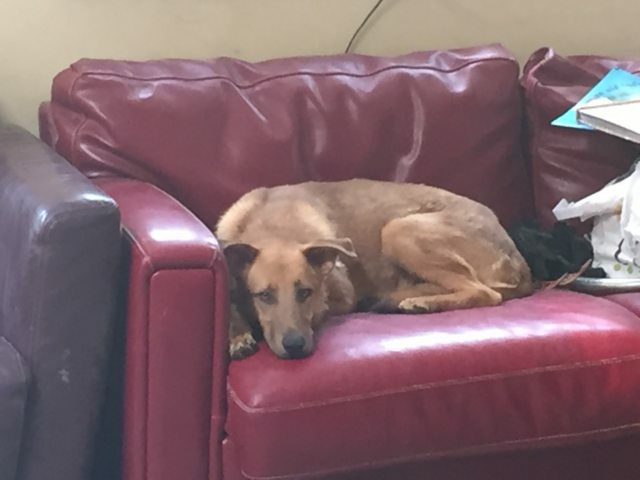 He is an active, fun loving boy and would suit a family that will take him out and spend time with him. 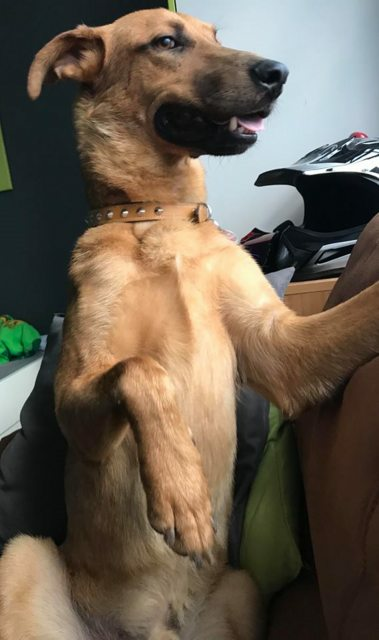 He has settled well into his new life in the UK. He simply cannot believe his luck at having people who care for him at last! 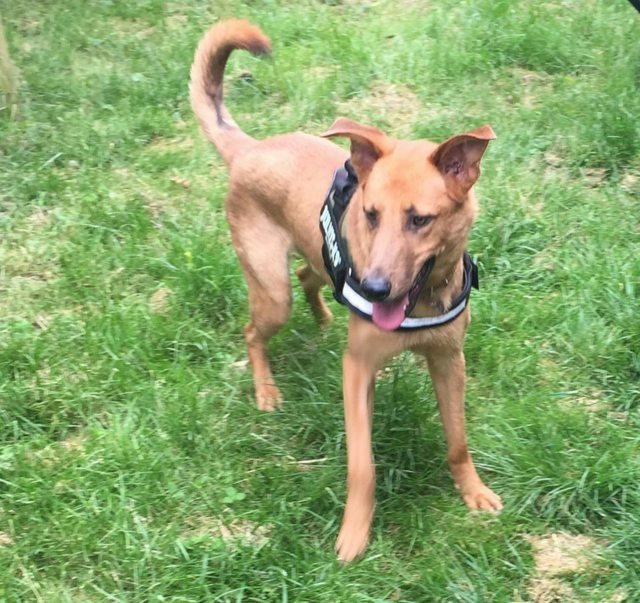 He is working hard on his recall and would benefit from more ongoing training to help him bond with his new family and become the fabulous dog that they want him to be. 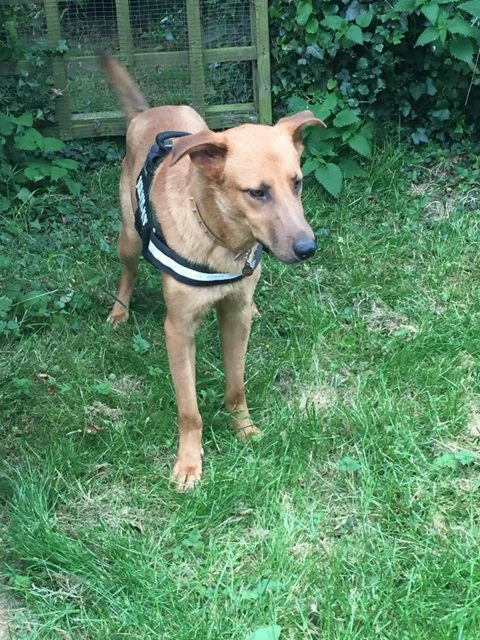 He really is a bright, smart dog and has potential to learn lots….. He also loves his food and this really helps with his training. In the home he is lovely and will come to you for affection. In view of his size he would be well suited to a family with children over 7 years, or where children are used to dogs. He plays well with the children in his foster home and gets on well with his foster mum’s 7 year old son. He really loves to play with the other dogs too. Buddy is an absolute delight. He is quiet and sleeps well through the night. He is already a super dog with much love to give. He really hopes to find a fun family of his own. Oh, and a family who will give him lots and lots of love, cuddles and fuss. Whatever you put into loving him, you will get back tenfold! He just needs a chance to show you how much he will just adore you. If you can offer this handsome boy his very own forever home and family, please contact us. He has been neutered, vaccinated and microchipped. Minimum adoption donation of £275 applies. ADOPTIONS SUBJECT TO HOME CHECK. Post adoption support is available from our charity.